Residents ask for lower speed limit on Ardsley Road - The Resident Community News Group, Inc. | The Resident Community News Group, Inc.
Ardsley Road residents who attended the District 5 community meeting on Jan. 17 were in agreement about the need for traffic-calming measures in their Miramar neighborhood. 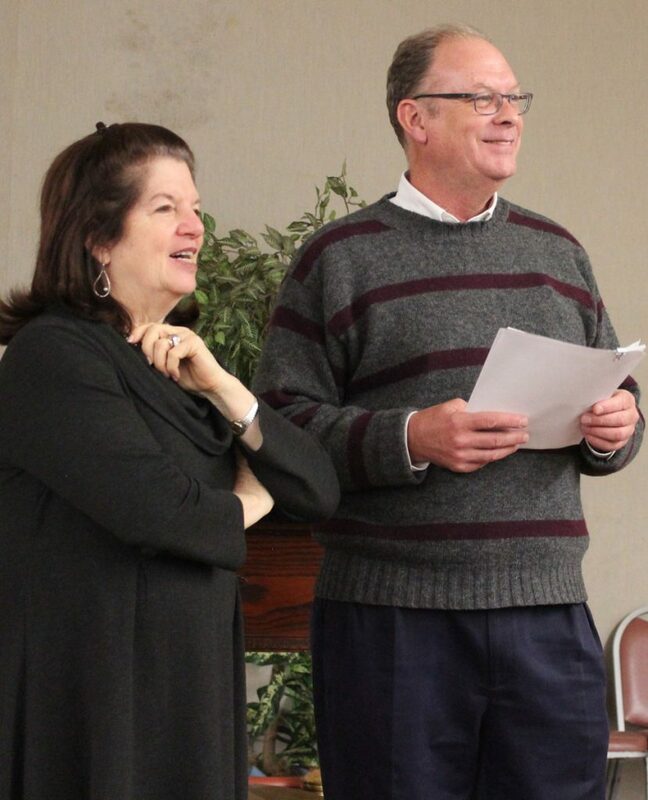 The meeting was led by District 5 City Councilwoman Lori Boyer and Chris LeDew, City of Jacksonville chief of traffic engineering, who described the process of approving traffic-calming requests to the dozen or so residents who attended the evening meeting at Hendricks Avenue Baptist Church. District 5 City Councilwoman Lori Boyer and Chris LeDew, City Chief of Traffic Engineering, take questions at a public meeting for traffic-calming measures on Ardsley Road. Residents have requested the speed limit on Ardsley Road be lowered from the Florida Statute maximum speed for residential streets of 30 mph to 25 mph. The meeting was a required step to give people who may disagree with the proposed action a chance to be heard and for residents to ask questions. In addition to adding signage lowering the maximum speed allowed, Boyer noted that speed humps, speed bumps and speed tables are an option. LeDew noted that these measures, however, may have negative consequences. LeDew’s office will provide the neighborhood with petition forms. If 75 percent of the neighbors sign the petition, the City will provide signs posting the reduced speed limit. All affected properties must be included in the petition, according to LeDew. Residents are responsible for paying for the signs at a cost of $200 per sign. Those present said that they were interested in a reduced-speed limit sign at the head of Ardsley leading into the neighborhood. Wade Lindsey, who lives on Ardsley and attended the meeting, volunteered to lead the petition-signing and collect the funds needed to pay for the sign.